Joseph Francis Dzialo, husband of Martine Dzialo of Longmeadow, and son of Dr. Frederick and predeceased Helen (Partyka) Dzialo of Hatfield, passed into eternal life Friday, Sept. 18, 2015, after a long battle with pancreatic cancer. Joseph was born Jan. 19, 1962, in Troy, New York, and was the second eldest of five children. Joseph grew up in Hatfield, where he loved to fish, play the guitar, go on bike rides with his brothers and sisters and spend time in nature. He graduated from the Williston Northampton School where he developed his passion and talent for fine arts under renowned illustrator Barry Moser. Joseph attended Syracuse University and holds a bachelor of fine arts in painting and graphic design from Parsons School of Design in New York. 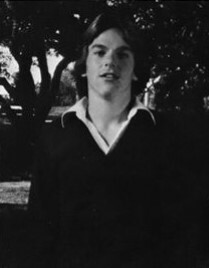 He later went on to pursue an MBA from the Isenberg School of Management at the University of Massachusetts Amherst. Joseph also studied in Paris at the Ecole de Beaux-Arts. 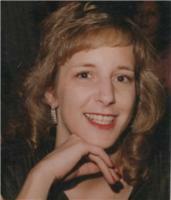 WARE – Cynthia Lynn Brandts, 51, took her leave Jan. 14, 2013. She is survived by her daughter Elisha; her father and step-mother, John and Linda; her mother Susan; her sisters, Debbie Bettag (WNS ’79) and Melanie Murphy; and her brothers, Mike, Bob and Brad. Cindy partially negotiated the Amherst school system, attended Williston Academy and after a brief stint at Emory College in Atlanta, earned first her bachelor’s degree, then her master’s degree in business administration at the University of Massachusetts, Amherst. Math and analysis, be it business, inventory, marketing or whatever, was her forte. Calling the Pioneer Valley home, she worked for Microcal, Inc., R. R. Donnelley, and James River Graphics. By any measure, Cindy was a trip. Life, as filtered through her presence, was impossibly full. While some might have seen her embracing of extremes as disturbingly untenable, others found her rush toward experience to be alchemic; she transformed darkness to light, despair to hope, anguish to laughter. In the final months of her life, she discovered the writings of Eckhart Tolle and stepped into a world of which she’d been catching glimpses since early childhood. In awareness, and with intention, she focused the wisdom she’d earned through trials and traumas, and came to extend also to herself the infinite generosity she had always extended to others. A private funeral was held at Douglass Funeral Home, in Amherst, on Saturday, Jan. 19, 2013. 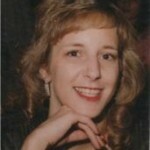 To sign a Guest Book, express condolences, share memories and read other obituaries, go to www.gazettenet.com/obituaries.